Andrew's Blog - Inspiration, Technology, Business: 2011 Elections - Would you vote for party or candidate? We thank God for the long awaited 2011 April general election in Nigeria is here today; it's kicking off today being the 2nd of April 2011. Many concerns and questions arising already if to vote based on party or proven selfless and visionary personalities(aspirants)? Then it calls to vote wisely and avoid getting involved into every tending malpratice or violence. Things have relatively changed even with the help of technology. INEC is ready to conduct a credible, free and fair elections and the assistant director of SSS(madam) yesterday on media assured Nigerians the readiness to ensure proper security at election polls, security of lives and properties. We have also prayed and believed God for good on the same. Let your vote count. God bless Nigeria. In the middle of the National Assemble election day, the INEC chairman Prof. Jega announced the postponment of the election to Monday 4th April 2011 for problem of delay of supply of election materials to various polling centres across the Nation but from observation and reports gathered, Lagos and Kano were a bit promptly ready with materials and many already started voting before the unforseen development. Well, people became worried and disappointed by this development but Prof. Jega and team assured Nigerians again that it was to ensure the credibility of the election process promptly having the complete required materials at all polls nationwide. The Independent National Electoral Commission (INEC) has just powered their website to feature on board the Presidential elections results and others until final compilations. Meanwhile results are rightfully streaming on their website now. We are grateful to God, Dr. Goodluck Jonathan, Prof. Jega, INEC Team, and the good people of Nigeria for turning out in mass to cast their votes peacefully. The improvements are truly awesome! Thank you. 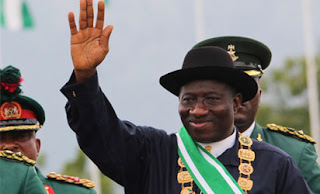 Dr Goodluck Ebele Jonathan has been officially declared Winner of 2011 Nigeria Presidential election by INEC. "He is returned elected." (8:45pm Nigerian Time). 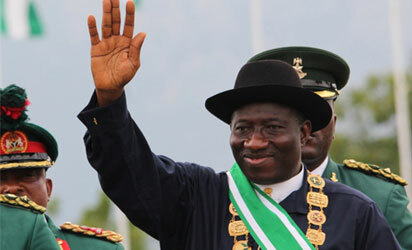 Congratulations Mr President!